Not only has the brand new Spring Summer 2014 collection landed at Apacheonline, we are offering you all a fantastic Fred Perry Discount Code. As always, the Fred Perry Spring Summer 2014 collection looks fantastic and there is always something for every taste. We will be showing some examples of the new T Shirts, Shirts and Polo Shirts that have arrived so far, and you can also save yourself a fantastic 10% Off with our latest Fred Perry Discount Code. Simply enter FPBLOG14 at the checkout of Apacheonline.co.uk to receive a brilliant 10% Off all brand new Spring Summer 2014 collections. 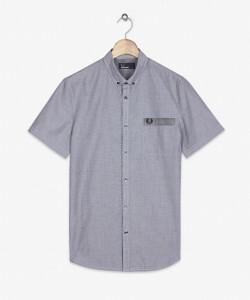 This is the stunning M2318 Gingham Trim End on End Shirt from the lads at Fred Perry. Crafted in a beautifully soft end on end cotton fabric, this shirt also features a stunning gingham trimmed pocket and turnable sleeve. Team it with a slim fitting raw washed jean and you have a great look for that big night on the town. Priced at £65.00 this is exceptional value for the quality and remember you can save yourself 10% with our latest Fred Perry Discount Code by entering FPBLOG14. Next up we have this cracking polo shirt. The M4225 Gingham Trim Polo Shirt is made from 100% pique cotton, features gingham trim detailing and the all important Fred Perry Laurel Leaf branding. The dark carbon colour way works perfectly with a classic chino trouser for a smart casual look this season. 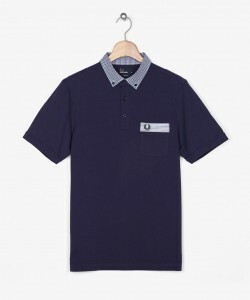 At only £60.00 this is already a steal, but save a further 10% by entering our newest Fred Perry Discount Code FPBLOG14 at the checkout of Apacheonline.co.uk. 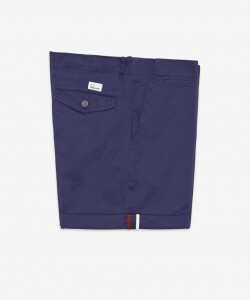 Finally we have the S4205 Classic Chino Short from the guys at Fred Perry. Constructed in a quality cotton rich twill fabric and twin tipped turn up detailing, these are ideal for the lads holiday this summer teamed with a pair of Flip Flops or Toms. Also available in the Washed Rubber colour way which is an absolute classic. They are £70.00 but with our Fred Perry Discount Code, you can save yourself 10% Off simply by entering FPBLOG14 at the checkout. We thank you for taking the time to read this and hope that you all rush over to Apacheonline.co.uk to use this amazing Fred Perry Discount Code. Remember its FPBLOG14 to get your 10% Discount. Also if you get 2 mins, check out this fantastic video from Fred Perry which features classic Ska group The Specials. Fred Perry – Specials from The Tailor of Shoreditch on Vimeo.